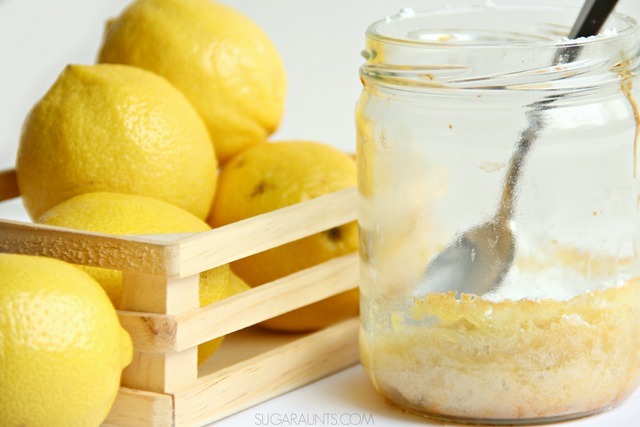 Today in the Cooking with Kids A-Z series, we're sharing L is for Lemons and our Lemon Bars made in a mason jar. These easy bars are fresh and sweet and perfect for summer baking, and even better for gifting in a cute and fun mason jar. Kids love to eat them up right from the mason jar. Heat the oven to 350 degrees F. Measure the flour by sifting. 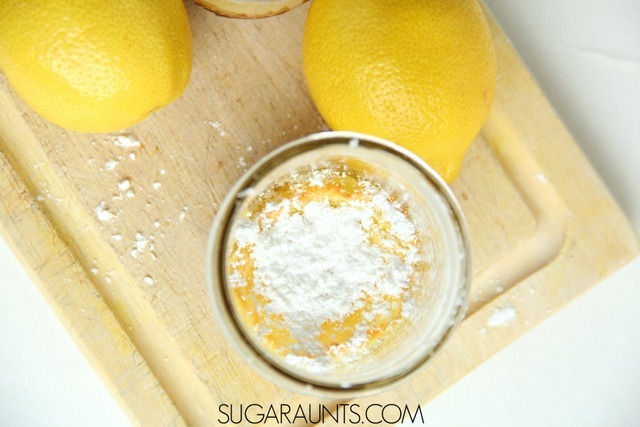 Blend the flour, butter, confectioners sugar thoroughly. 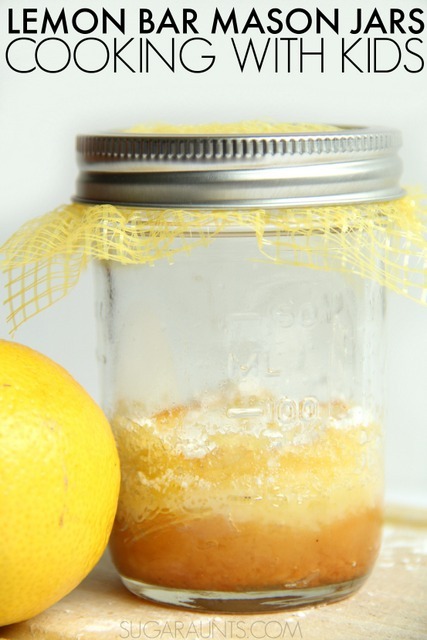 Drop 2-3 Tablespoons into the bottom of mason jars which have been sprayed with cooking spray. 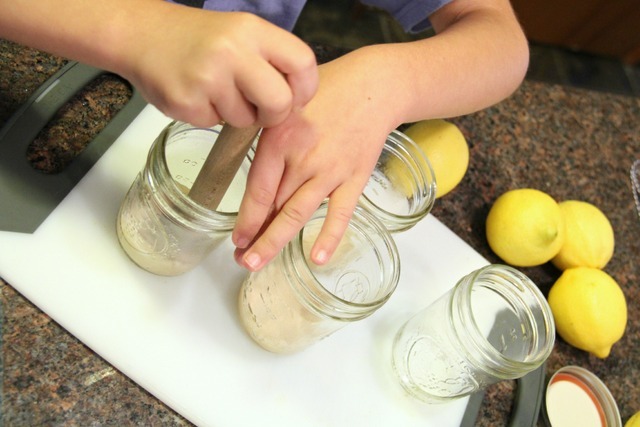 Using a Tart Tamper , press the dough until flat on the bottom of the mason jars . Place the jars on a cookie sheet and bake for 20 minutes. Beat the remaining ingredients together. Pour over the crust and bake for 20-25 minutes more. 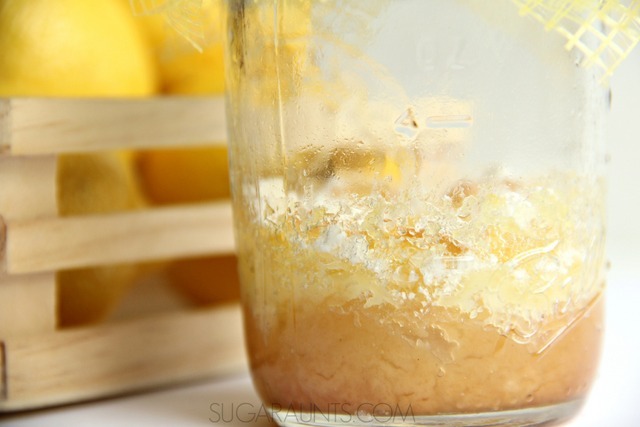 Recipe makes 6 mason jar treats. 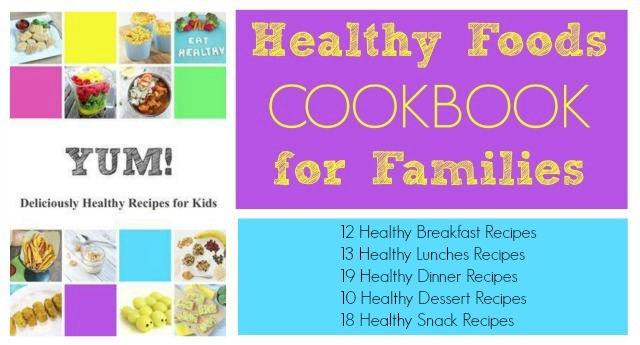 You can also omit the mason jars and bake in a 8x8 inch square pan. 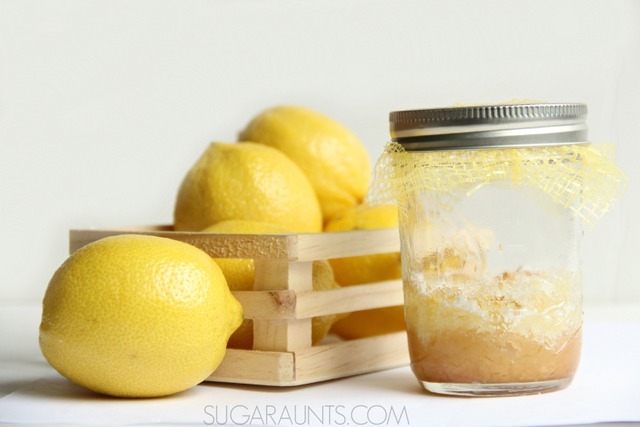 Enjoy these lemon bar mason jar treats right from the jar!